Our office helps first time homebuyers, older couple retiring to this coastal area, commercial business sales and land sellers. We navigate people through the process of buying and selling property. Either me or one of my associates: Melinda Moudy, Patty Geissen, Ghulam Asif, Jennifer Smethers, Stephanie Hermis and Sigrid Colesio, will work hard for you every step of the way. Sherry Williams became a Realtor in January, 2009, and has a Bachelor's Degree in Agriculture and Environmental Science. Her first career was photography and agricultural journalism. Besides the designation of Texas Realtor, she has also earned her Senior Real Estate Specialist designation. You will find me to be a good listener and problem solver. Ms. Williams grew up on a Vermont farm and appreciates the agricultural productivity and rural sense of community provided here in South Texas. With her husband Gary, she enjoys home improvement projects. 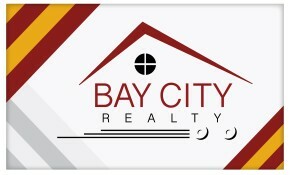 In Jan. '15 she opened her own office as a broker, Bay City Realty. We like to show people the 1928 renovated Craftsman style house that is now our office.